Gene Martin(on ladder)sets up the group shot. 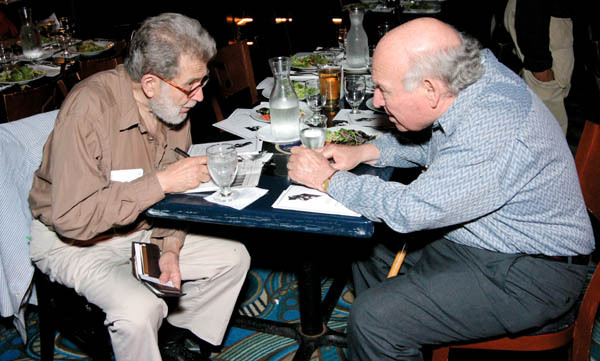 Nat Hentoff & George Wein chat. 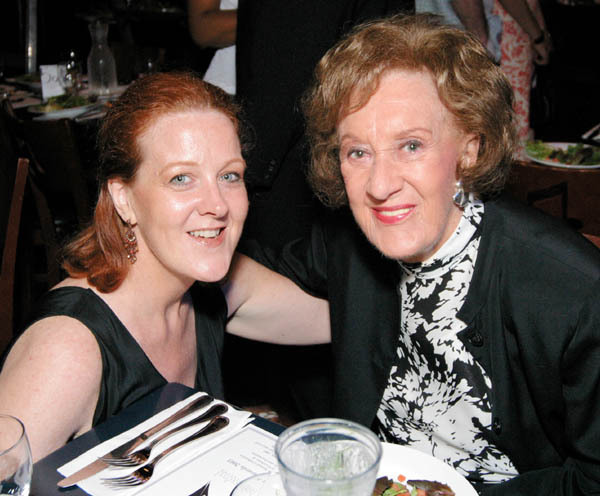 Claire Daly & Marion MacPartland pose for the camera.